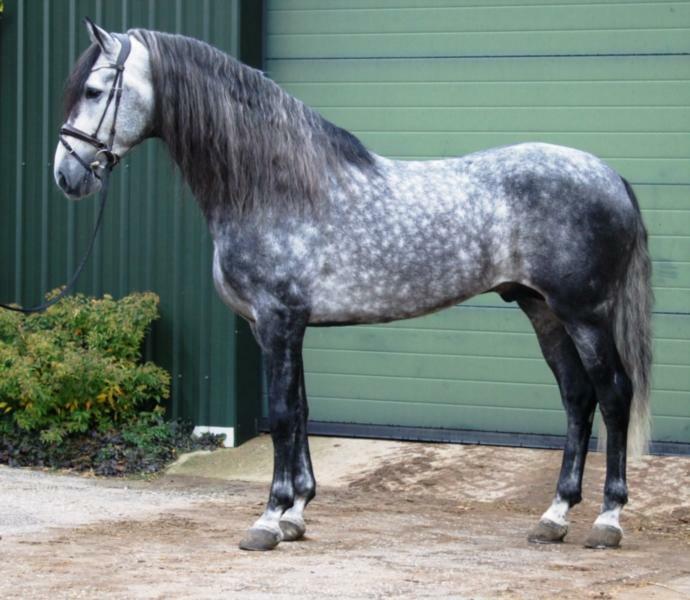 Additional information Hercules is a stunning grey gelding with three lovely, powerful gaits and a very sweet personality. He has easy leg yields, half passes, should-ins, and a clear talent for collection. He is comfortable to sit and is especially balanced at the canter. Hercules is a clear Champion in Working Equitation across. He has won every major Working Equitation. He is a horse of quality who knows how to impress with both his movement and work ethic. Hercules is currently schooling Third level in Dressage.